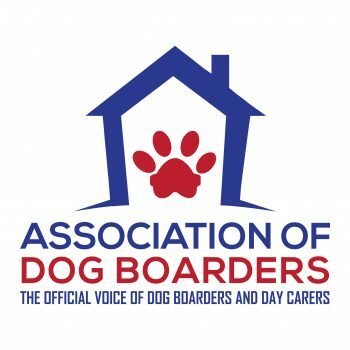 The Association of Dog Boarders is a recently formed not for profit, industry specific organisation. Run by a team who are all home boarders so know the job, know the trials and can support our members thorough experience and knowledge. New legislation to improve animal welfare and to standardise practices across England had been needed for some time, and was welcomed by the industry as a whole. The details contained within the Department of Environment, Food and Rural Affairs (DEFRA) guidance that sits alongside The Animal Welfare (Licensing of Activities) Legislation 2018 were not, however, what the industry was expecting. With conflicting guidance statements and confusing descriptions of standards within the guidance, a large number of previously licensed home boarders were facing significantly reduced incomes or complete closure. A petition was started in September 2018 by one of the founders of this Association, asking to have the guidance reviewed. What followed was a nationwide campaign from the industry that involved lobbying MPs, writing to stakeholders and the steering committee members who were involved in designing the guidance, and contacting local media in order to raise the profile of the issues being faced. The campaign was, and is still known as Barking Mad Regulations #BarkingMadRegulations. In October 2018 the campaign team were invited to a meeting with the Companion Animal Welfare Team at DEFRA to discuss changes that were needed. It became clear from the meeting that being involved in legislative reform at the earliest stage in the future was the only way to prevent issues such as these from happening again. The home boarders needed an association, a representative body to assure them a voice in any future discussions. From this realisation, the Association of Dog Boarders was established.